VISIT Kent has unveiled two new striking images for its Kent Contemporary poster campaign, promoting the 21st century Garden of England across London and the South East. 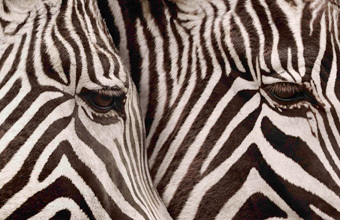 The dramatic, monochrome Wildlife In Your Garden poster features zebras from Port Lympne Wild Animal Park, while, Treat Yourself In Your Garden highlights the attractions of the Bluewater shopping, leisure and events destination at Greenhithe. A third image for 2013, capturing the essence of Ashford Designer Outlet, is in the pipeline. Head of marketing at Visit Kent Lynnette Crisp said: "The aim of this image-based campaign has been to surprise and delight. It has done, and is continuing to do, just that. "The photographs, developed in partnership with our private investors, are atmospheric and deliberately quirky and enigmatic - we are representing our 21st century county and challenging people's traditional perceptions of the Garden of England."